Manufacturing Technology, Inc. (MTI) announced that the company has finalized the purchase of ProSpot, a resistance welding company located in Tamworth, United Kingdom. The acquisition doubles the size of MTI’s UK subsidiary and serves as a springboard into further European expansion. Manufacturing Technology Inc., saw the acquisition of Prospot as a prime opportunity to grow their European subsidiary group, adding to the company’s previously acquired British Federal brand of resistance welders. With the addition of Prospot, MTI’s European group will have combined revenue in excess of $15 million. MTI, who services customers in Europe such as Jaguar Land Rover (JLR), Dana, Pratt Whitney and Rolls Royce, identified an opportunity to extend their resistance welding product offering into the consumables market through the acquisition of Prospot. MTI also saw further product synergies by improving their offering through additional automated solutions to customer joining problems. The acquisition allows MTI to serve ProSpot customers with integrated automation and multi-robot manufacturing cells, while enabling the company to take on much larger, more complicated projects customers are requesting. As ProSpot customers are primarily European based, MTI also plans to use their worldwide sales network to launch their resistance welding products further into Europe. MTI has established itself as a leader in friction and resistance welding, including Rotary Friction, Linear Friction, and Friction Stir Welding technologies. In addition to contract manufacturing services based in the US and UK, MTI has delivered machines to Boeing, GE, Rolls- Royce, Pratt and Whitney, Federal Mogul, and many of their tier one suppliers. A family owned business founded in 1926, MTI employs 180 people in their South Bend, United Kingdom, and China locations. 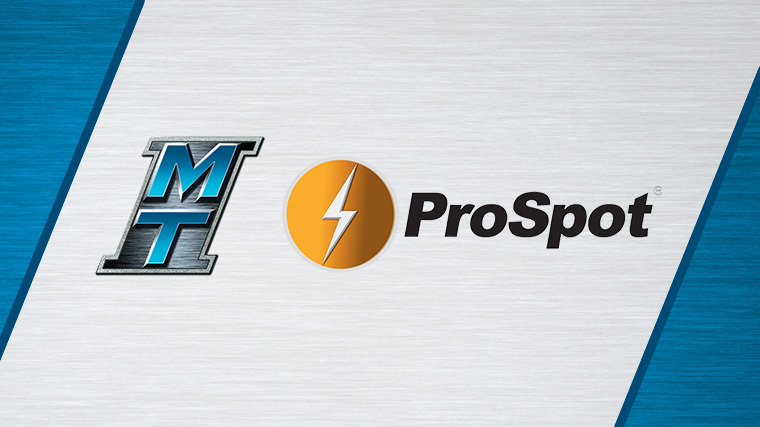 Established in 1997, Prospot is a leading supplier of resistance welding machinery and consumables. The company specializes in resistance welding consumables, the design and manufacture of integrated welding systems, and offers an extensive range of quality standard machines along with after sales service and training. The company also owns the Meritus brand, one of the oldest British machine manufacturers in the world and has recently joined Manufacturing Technology Inc.’s European subsidiary group. The key members of the management team at Prospot will remain the same throughout the merger and the company is dedicated to upholding the same high standards of quality craftsmanship and customer relations today, as it has for decades. For more information on MTI, and its family of world-class friction welding technologies, visit www.mtiwelding.com.